Between 2017 — 2019, AuScope will lead a group of Australian research infrastructure organisations to culminate a vast collection of previously incompatible geoscience datasets, to allow researchers to ‘see through new glasses’. The result for Australia will be improved earth monitoring, underpinning civil, mining, agriculture and environmental stewardship, as well as improved detection, extraction and protection of energy, water and mineral resources. This innovative undertaking will be funded by $425,000 from Federal Government’s Australian National Data Service (ANDS), the National eResearch Collaboration Tools and Resources (Nectar) and Research Data Services (RDS), and supported by $440,000 of co-investment by the project’s collaborating partners*. The project will be managed by CSIRO who developed the related AuScope Virtual Geophysical Laboratory and GRID technologies, in collaboration with Geoscience Australia and the State Geological Surveys. The first step in the five-year AuScope Virtual Research Environment (AVRE) plan is to build a Data-enhanced Virtual Laboratory (DeVL) that will provide researchers with seamless access to data, tools and compute resources via a single portal and related services. AuScope CEO Dr Tim Rawling says the funding announcement has given AuScope the opportunity to meet the evolving needs of Australian researchers as they more deeply analyse increasingly complex geoscience data. “This new initiative will enable a new capability for data discovery and computational analysis that underpins the next stage of innovation and scientific discovery,” he said. AVRE and DeVL will boost productivity, says Dr Lesley Wyborn from the National Computational Infrastructure (NCI). The DeVL project builds on the AuScope Portal, the Virtual Core Library, the Scientific Software Solution Centre, and the Virtual Geophysics Laboratory, all heavily developed by CSIRO in collaboration with Geoscience Australia and the State Geological Surveys over the last decade. The AVRE project extends the scope of existing eResearch infrastructure to capabilities and partners not previously involved in prior projects with AuScope and ANDS, Nectar and RDS. This leads to a more coherent and integrated geoscience eResearch platform addressing a broader range of research sector and industry needs. The project will enable the provision of new data types in a FAIR way (Findable, Accessible, Interoperable, Reusable). It will also utilise unique, International Geo Sample Number identifiers (IGSN) for physical geochemical samples collected by the academic community. 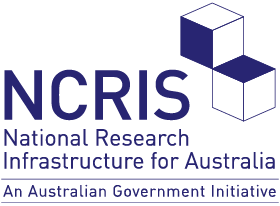 A driver for the creation of AVRE has been the 2016 National Research Infrastructure Roadmap which states that, to secure global leadership for the Earth Sciences over the next decade, Australia must now “enhance integration of existing data and mathematical modelling across large geographical areas to establish the next generation of ‘inward looking telescopes’ to better understand the evolution Earth’s crust and the resources contained within it”.